1. Combined effects of G-CSF and dizocilpine(MK-801) on acute phase changes induced by partial global cerebral ischemia inmice. 2. Study to evaluate correlation of differenttype of peripheral inflammation and epilepsy and role of cytokines ininflammation induced in experimental model in rats. 3. Effect of Metformin on Alzheimers Disease inrats. 4. 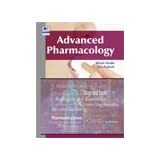 Development of ophthalmic formulations ofacetazolamide and memantine using novel drug delivery techniques for thetreatment of glaucoma. 5. Comparative Evaluation of Thalidomiode,Sulfasalazine with Nanotechnology Based Drug Delivery in Experimentally InducedInflammatory Bowel Disease in Rats. Coordinator, PGIMER Pharmacovigilance Centre, Chandigarh. Ex-Secretary, Clinical Pharmacology of Indian Pharmacology Society. Our Team: The Neurobehavioral Research Laboratory (NBRL), Experimental Pharmacology Laboratory (EPL) and Pharmacovigilance Center is composed of a multi-disciplinary team of researchers. The following sections provide detailed information about each of the individual team members. Area of Research: Neuroscience, Clinical Pharmacology & Pharmacovigilance. M.Pharmacy, Drug Discovery& Drug Development, Panjab University, Chandigarh. Area of Research: Neurosciences, Epilepsy, Stroke, Pharmacokineticand Pharmacodynamic Studies. M.Sc., PharmaceuticalChemistry, Panjab University, Chandigarh. Area of Research: Neurosciences, Stroke, Epilepsy, Herbal Medicines, Nano Medicines. Area of Research: Drug Resistant and Cerebral Malaria and its Immunological basis, Antimalarials drug discovery. Area of Research:Epileptogenesis, Traumatic Brain Injury,Alzheimers disease, Neurodegenerative disease, IBD and Colon Cancer. M.Tech., Cognitive Neurosciences, Rajasthan University, Jaipur, Rajasthan. Area of Research: Nano medicines, Stem cells & Autism. As part of the PGIMER, NBRL provides a preclinicaldiscovery platform for CNS target validation in preclinical in vivo and invitro models. Our well validated neurobehavioral assessment tools in CNSdisease models provide a unique platform for the screening and profiling ofexperimental therapeutics and genetic rodent models. We aim to accelerate theprogress in both fundamental and applied studies of nervous system function. Ouroverarching goal is to lead and enable translation of scientific discoveriesinto novel therapeutic approaches that improve the quality of life for patientswith disorders of the brain and spinal cord. Our disease models focusincludes: cognition and memory, Autism Spectrum Disorder, Alzheimers disease, ALS,and Schizophrenia, as well as social interaction. If there is any suspicion that an adverse event or adverse reaction has occurred, the healthcare professional attending to the patient, can fill up the suspected ADR former patient suspects that he has experienced an ADR can report to the nearest ADR Monitoring Centers (AMCs) under Pharmacovigilance Programme of India (PvPI). There is a prescribed form that can be used in making reports to AMCs which can be downloaded from the website of IPC http://www.ipc.gov.in/PvPI/ADRReportingForm.pdf. The details of IPC are given in the website of IPC i.e. http://www.ipc.gov.in/PvPI/pv_home.html. The ADRs will be sent to WHO-Uppsala Monitoring Center (UMC) for analysis and signal detection. http://www.who-umc.org/DynPage.aspx?id=105196&mn1=7347&mn2=7489. Simultaneously ADRs are evaluated at NCC and the inferences are used to recommend regulatory body i.e. CDSCO to take necessary regulatory interventions, besides communicating risks to healthcare professionals and the public. PGIMER Chandigarh was identified as ADR Monitoring Centre (AMC) in July 2010. Dr. Bikash Medhi was appointed as Coordinator right from the first phase of Pharmacovigilance Program of India. PGIMER Chandigarh was later identified by National Coordinating Center as Regional Resource and Training& Technical Support Center for North India. Apart from the collection of ICSRs; AMC has been actively involved in creating awareness amongst the health careprofessionals by means of organizing different CMEs throughout the Northern India. Collection of ADR reports from hospital of PGIMER, Chandigarh. Reviewing the ICSRs for seriousness and expectedness. Checking the completeness of reports for quality followed by causality assessment of ADR/AE cases, Follow up with the reporter for any incomplete information. Entry of ADR reports into Vigiflow (WHOs database) by using inbuilt WHO-ART, ICD10, WHO drug dictionary. Delivering lecture on trending news and issues on drug safety, importance of reporting the ADRs; for sensitization of healthcare professionals (Doctors, Nurses,Pharmacists). Preparing the monthly report of the ADR monitoring center. Documentation and archival of the ADR reports in both soft and hard copies. Providing training to the personnel under pharmacovigilance program of India in north India on Vigiflow, reporting form, SOPs. Area ofExpertise/Skills: Pharmacovigilance,VigiFlow, WHO-ART, ICD-10, ICSR processing, MedDRA, ICH Guidelines, MedicalCoding, Medical Writing, Epidemiology, Public Health, Pharmacogenomics,Pharmacogenetics. Area of Research: Adverse drug reaction reporting,Vigiflow processing, WHO ICD-10 coding,ICSR review and Causality assessmentetc. Awarded Dr. D N Prasad memorial award with Goldmedal 2009 from Indian Council of Medical Research (ICMR), New Delhi. Awarded Dr.B N. Ghosh Oration at 43rd Annual Conference of IPS andInternational Conference on Pharmacology & Translational Research will beorganized by National Executive Committee in association with Food and DrugToxicology Research Centre, National Institute of Nutrition, Hyderabad from13th  16th December, 2010. Awarded International Fellowship from Alzheimer's Association International Organization(AAIC), July 13-18, 2013 at the Boston,USA. Awarded Best 2nd Prize for paperen titled: Effects of artemisinin, artemether, arteether on the pharmacokineticsof Phenytoin. In InternationalComprehensive Update on Diagnostic and Therapeutic in Epilepsy andNeuro-Electrophysiology Workshop (CUTE conference), New Delhi, Feb4&5,2006. Member of Investigational New Drug ( INDcommittee, DCGI office, Ministry of Health, Nirman Bhawan, Government of India. Elected for National advisory board member in JKscience, Journal of Medical Education and research. Travel grant from Department of Science and Technologyto attend IMSACON at Clare college in July 2002, Cambridge University, UK. Investigator award from International Epilepsy Society,Dublin, Ireland, to attend EpilepsyCongress at Singapore, 7-12th July 2007. Epilepsy award, Manila from ILAE March 2012.